Definition. Co-curricular activities shall include the activities of performing arts, athletics, intramurals and interest clubs sponsored by the Urbandale Community School District. Activities and Opportunities. The Board of Directors believes that a program of student activities is vital to the complete development of the student. Such activities offer opportunities to serve the institution, to assist in the development of fellowship and social good will, to promote self realization and all-around growth, and to encourage good citizenship qualities. 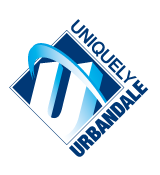 The Urbandale Community School District shall offer an activity program for students in the District as feasible, which shall be sufficiently broad to offer opportunities for all students to participate. Approval. It is the policy of the Board of Directors to delegate to the instructional staff, under the supervision of the administrative staff, the responsibility for developing co-curricular activities. Co-curricular offerings which require general fund support must receive the approval of the Board of Directors to be implemented or deleted. An activity must be approved by the Board of Directors to be an official school-sponsored activity. The contracting or assistance of any nonschool personnel for school activities must have prior administrative approval.